Sony Corporation has been granted unconditional permission by the European Commission to complete its buyout of the Jackson Estate’s 50% stake in Sony/ATV. The deal faced fierce opposition from quarters including Warner Music Group and indie label body IMPALA, but EC regulators today (August 1) ruled in Sony’s favour. “The transaction will not materially increase Sony’s market power vis-a-vis digital music providers compared to the situation prior to the merger,” the EU competition watchdog said in a statement. Sony’s $750m acquisition of the half in Sony/ATV it didn’t previously own will undoubtedly add significant market influence to the company. Sony/ATV is currently 50% owned by Sony Corporation of America. By tying up the Jackson Estate deal, Sony becomes the third major to take full global control of a publishing company after Warner Music Group (Warner/Chappell) and Universal Music Group (Universal Music Publishing Group). 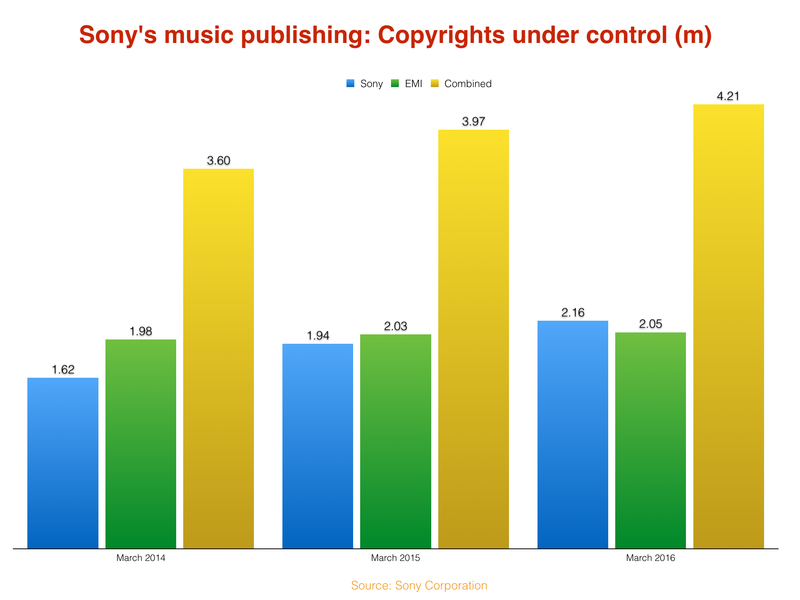 As reported on MBW last week, Sony/ATV is already by far the biggest publisher in the world in terms of the volume of copyrights it controls. Across both its own repertoire and its administration of the catalogue of EMI Music Publishing, Sony manages over 4.2m songs. Opponents to Sony’s acquisition of Sony/ATV told EC regulators that its subsequent ‘control share’ would distort the music marketplace. ‘Control share’ is a measure by which a company’s ownership of both publishing and master rights is estimated. Some suggested that, had the deal gone through last year, Sony’s ‘control share’ of 2015’s Top 100 singles chart would have exceeded 60% in at least two European countries. If true, it would have meant that – across all music rights – Sony Corp (as 100% owner of Sony/ATV) would be a significantly bigger player in these markets than even Universal Music Group. Even those that gripe about Sony’s resultant market power, however, may be happy to note that the Jackson Estate sold to Sony… as opposed to Google, which was apparently also interested in making a bid for the asset. Some assumed the European Commission may have given the Sony/ATV deal a rougher ride – with recent history showing that the EC is more than capable of standing up to major music market acquisitions. Back in 2012, both Warner and IMPALA lobbied against Universal Music Group’s £1.2bn ($1.9bn) acquisition of EMI Music in the EU. Although the deal was ultimately given the green light, UMG faced some disappointing conditions in Europe – most notably, being forced to sell Parlophone Label Group. PLG – including the catalogues of David Bowie, Pink Floyd, Blur, Kate Bush and Coldplay – was subsequently sold to Warner Music Group for £487m ($740m). Also in 2012, Sony/ATV (in a consortium alongside the Jackson estate, plus Mubadala and others) purchased EMI Music Publishing – and faced its own EC remedies.